A new twist on knitting in the round, this set of needles includes 3 double point needles with flexible centers to make knitting your sleeves and socks effortless. 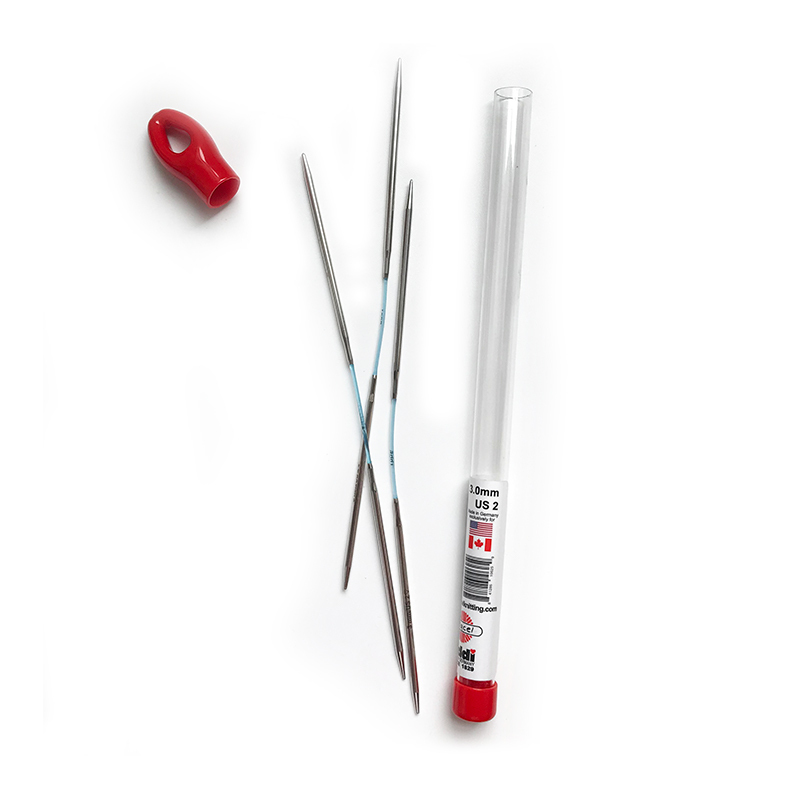 These specially designed needles feature 3.5" tips with a 1" cord and rest comfortably in your hands. 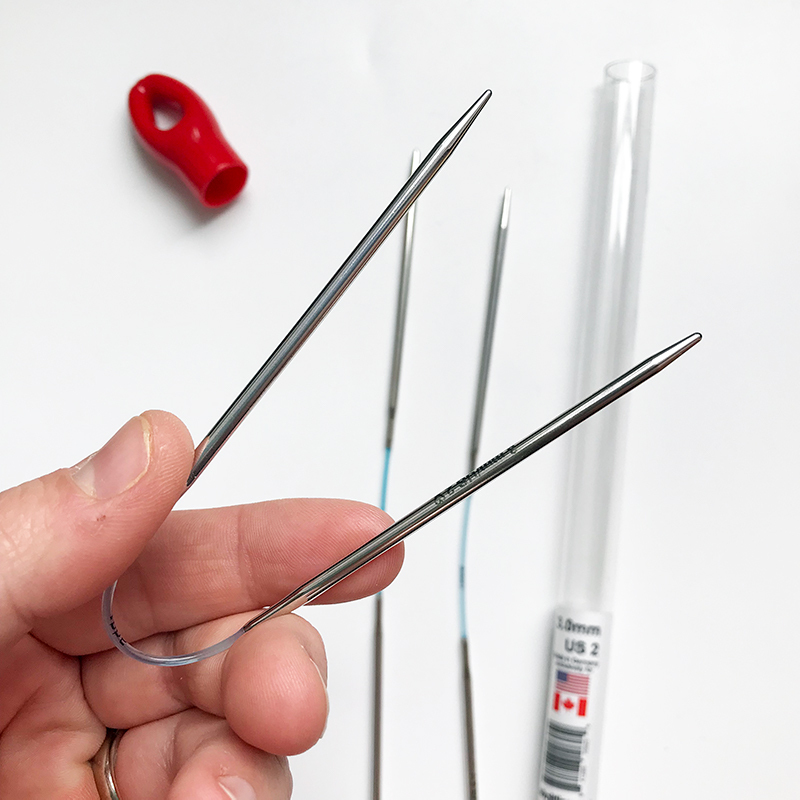 Plus, each needle offers both the addi Turbo and addi Rocket (slimmer and pointier) tip options - just flip your working needle to the tip option you want to knit with!